It was once simple. There was a time in our lives when we wore what we loved. Then we were sold a lie: “Just buy more clothing, faster. If you fit in, you’ll be okay.” But more only results in clutter and confusion. At Cladwell, our mission is simple. We want to create a clothing industry that's good for people. So instead of selling trends, we focus on the clothing you already own, and only recommend what goes with that. Think of us as your stylish friend. Wear what you like. Get rid of the rest. Do more with what you have. Together, let’s beat the lie. It's easier than it sounds. 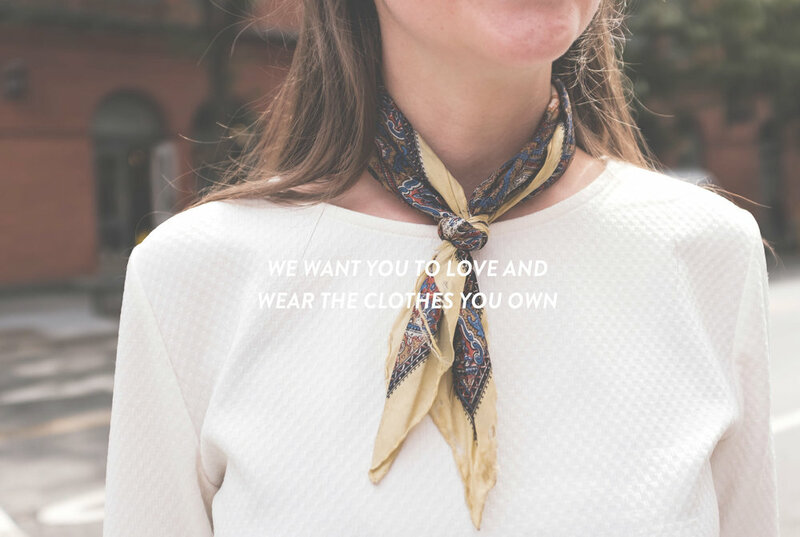 We’re here to help you love what you wear and wear what you love! Something we like to call... a happy closet. In short? A happy closet is when you love and wear everything that you own, easily create outfits you feel great in, and shop less often and more intentionally. YOU'RE SO CLOSE TO CLOSET HAPPINESS!